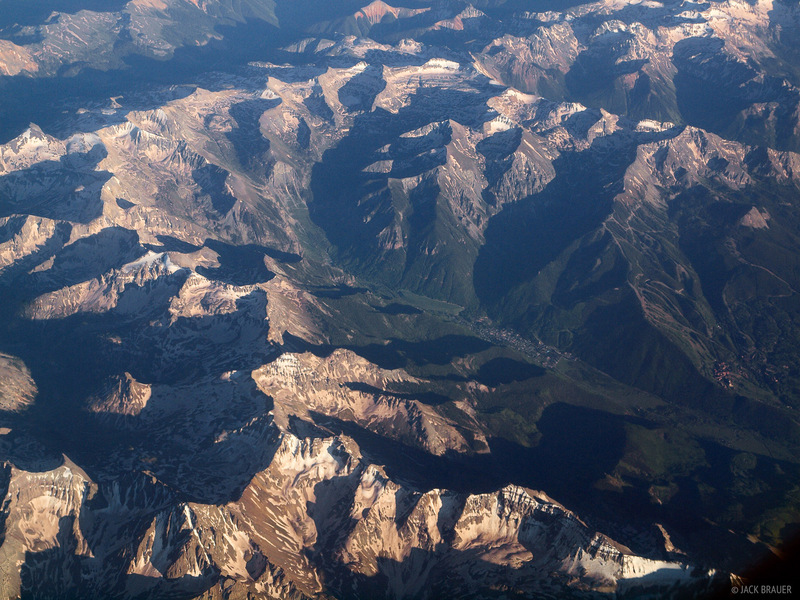 Aerial photo of Telluride, Colorado, surrounded by rugged peaks, as seen from 37,000 feet in a jet airliner. The slopes of the Telluride ski area are visible above the town, and Mt. Sneffels (14,156 feet) is the peak at lower left bottom. Photo © copyright by Jack Brauer.